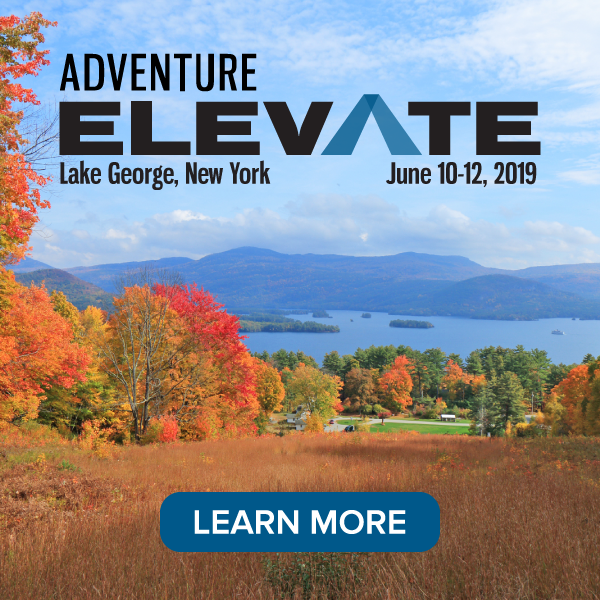 We are pleased to support the Adventure Travel Trade Association and see a great deal of overlap between Adventure Tour Operator’s needs and of our educational travel clients. Since 2001, ViaTour Software has provided tour operators a powerful and easy-to-use tool to track tours, reservations, P&L, vendors and much more. Investing in your infrastructure can help you survive today, put you ahead of the competition tomorrow, and position you for fast growth when the economy recovers. Concentrating on areas of strength is vital in this economic environment. Not all companies will survive these times but those that do will share a commitment to laying a strong foundation and taking advantage of special opportunities. One such opportunity is the ViaTour “stimulus package” for ATTA members. Look for our announcement later in April about our “buy now/pay later” option. Are you uncertain about how to apply database technology to your business operations? Check us out and you will feel you are on familiar ground. ViaTour is a Microsoft Access-based solution with an interface that feels natural to the way you work. I have been in educational travel for more than ten years, owned my own tour company, and have been exposed to many sides of the industry, and I know the value of a responsive, creative, and steadfast partner. At ViaTour, we have helped 20 customers make ViaTour an integral part of their daily operations by converting data, training staff, streamlining business processes, and working with them every step of the way to ensure their success. It’s what we do best. Our mission is to support tour operators and travel professionals with the technology to work faster, and more accurately, and to leverage their collected information to plan more effectively. We support a collaborative development model while letting you customize the application to fit your needs. ViaTour Software is the #1 all-in-one tour management solution for travel providers today and has been the premier solution since 2001 with over 20 client sites in the United States and Canada. ViaTour is designed by travel professionals for travel professionals. The user interface is intuitive, navigation is quick and easy, and you will find a place for every detail large or small – you can even add your own custom fields. Our clients are industry professionals upgrading from custom-built databases or our competitors’ products. They all had a need for more robust software system or were unhappy with the limited support from their current providers. We have 100% customer satisfaction and have never lost a client to the competition! Our clients cater to niche markets, often with a specialization in either an area of the world or an area of expertise, and make customer service a high priority. Some of our clients are larger organizations; others started as family businesses and have grown into major players. We provide outstanding implementation and training services to all our clients – from interns and volunteers with minimal computer experience to our “power users” who take their ViaTour data into Excel for advanced querying and analysis. ViaTour is available in three versions, Basic, Standard and Pro, to meet the needs and budgets of organizations of all sizes. Each ViaTour application level includes a comprehensive set of features that will immediately boost your staff’s day-to-day productivity in the following areas: targeted marketing by mail or email, reservation processing, tour implementation, financial tracking and executive analysis. ViaTour is fully integrated with standard Microsoft Office programs you are already familiar with – Outlook, Word and Excel. Web Integration Available Summer 2009: Data in SQL Server, Data Hosting, Web Services, Website Development and Web Integration. If you require web functionality (publishing tour data to the web, taking reservation bookings from the web), scalability for more than 25 users, multi-location access or all of the above, we recommend purchasing our new ViaTour version with data in SQL Server. Leverage data into powerful business intelligence and successful marketing. Coach operators and adventure operators. Engage with you in a detailed product evaluation to understand your needs. Integrate your business terminology into the user interface. Create custom reports that express your look and style. Enhance ViaTour’s feature set to continually advance your business objectives. Facilitate client collaboration on new development for unbeatable value. Provide unparalleled technical support with ViaTour’s Annual Maintenance Plan.